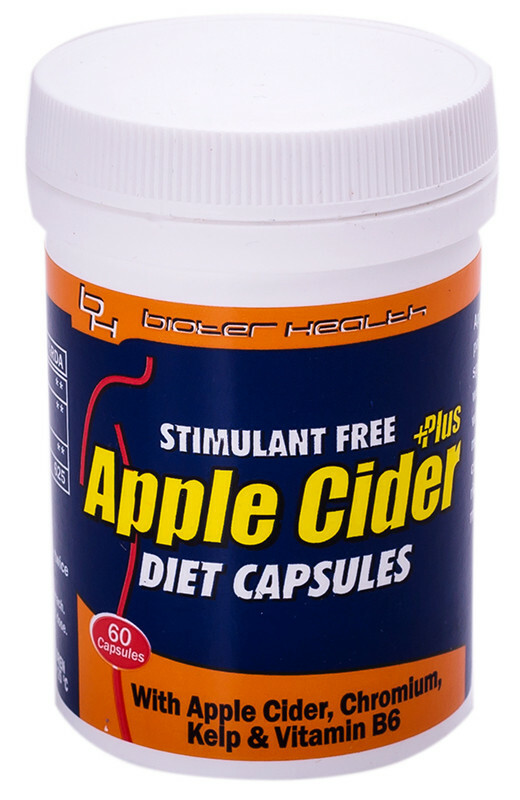 Apple Cider Diet Capsules take the beneficial properties of liquid apple cider vinegar and put them in a more palatable form. Apple cider vinegar is known to provide supportive aid for the immune system and speed up metabolism with resultant weight control that provides the body with vitality and energy. Apple Cider has also been shown to reduce fat and sweet cravings and is a rich source of amino acids and minerals. This product is great - definitely helped with weight loss! I prefer the capsules than liquid form. Helped me with cravings. Not sure that it had any effect on my appetite or weight. It might have had some other health effects but none that drastic that I noticed. They did help with my digestion as I suffer from IBS - can's say that they helped with weight loss though. No weight loss but good for food cravings. I don't know how to edit my previous review but I need to update: While these didn't work for me (I'm in my 20s), my mom (50s) loves them - they've been quite effective for her. Hope that helps. Definitely - I'm happy I can take an ACV pill instead of actually drinking the liquid which induces heart burn symptoms. And the stomach fat has melted away and I've recommended it to a few people and bought for my cousins and they're already singing the praises. I love that my sugar cravings have stopped and that I have lost some weight on this. Didn't really notice a change in my weight or sugar cravings. These capsules did nothing for me. The apple cider capsules with the addition especial of chromium does help with sugar cravings, definitely. I've been using it a while now and can definitely see results. And it tastes much better than the actual vinegar, ugh! I use this product purely for the health benefits. Apple cider vinegar is great for managing cholesterol levels but drinking the vinegar is just sickening. I have not noticed any weight loss, but I guess it does not matter as it is not why I use it. 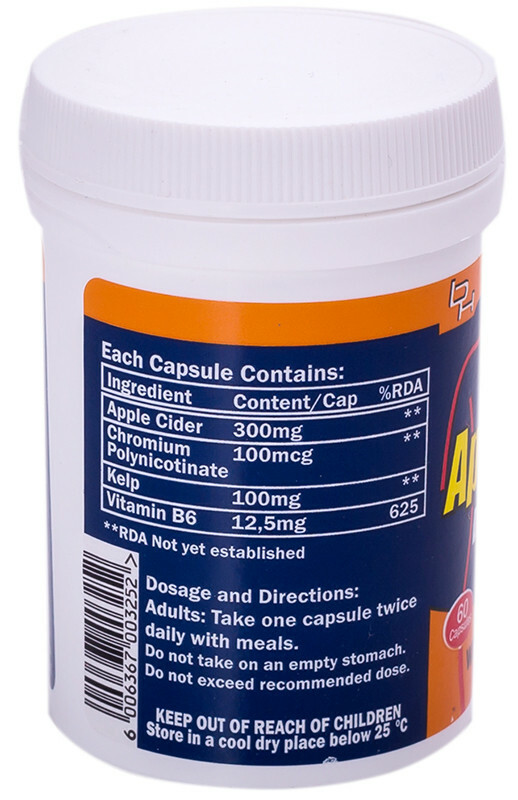 I've been taking Apple Cider capsules for months now, much better than the awful taste of the raw vinegar, and the added kelp and vitamin B6 are definitely a benefit. It has helped me maintain my weight, even when I've gone overboard, as at Christmas. About to finish my first bottle, can definitely see that this product has curbed my cravings for junk food. Jury is out on weight loss, but happy to have cravings curbed! On my 3rd bottle, not sure about weight loss but helps with the sweets cravings!